• Fundamental basis for TRVs and reignition and restriking transients. • Generic approach to the calculation of TRVs and reignition and restriking transients. • Derivation of pole factors and amplitude factors associated with TRVs as specified in IEC 62271-100 and IEEE C37 Series. • Calculation of the effects of adding surge capacitors to control TRVs; effect of shunt capacitor banks, load sharing reactors and opening resistors. The purpose of applying surge arresters is to limit overvoltages and enable the cost effective design and operation of power systems. Metal oxide surge arresters are thermally limited non-linear resistor devices with a unique voltage-current characteristic. Application involves the selection of rated voltage, protective levels, energy absorption capability and more. In the past so‑called Line Discharge Classes were used to define thermal energy absorption capability relating it to the switching surge protective level and rated voltage. This approach has been removed in the latest version of the arrester standards and thermal energy absorption capability is now related to rated voltage only. In addition, for the first time, the standards treat single shot energy absorption capability using a transfer charge approach. Utility specifications will need to be revised to reflect the changes in the standards. The course will discuss power system overvoltages and then cover arrester application, selection and location in detail. The course includes classwork and attendees should bring a calculator and squared paper to the class. 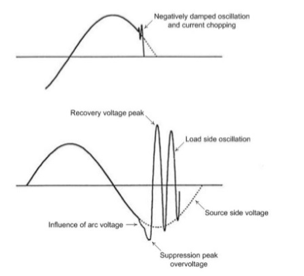 Transient recovery voltages (TRVs) are the voltages imposed on circuit breakers immediately after current interruption. 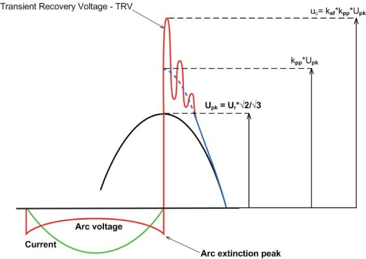 TRVs generally have a power frequency component and an oscillatory component dependent on the circuit and the type of current being interrupted. The principal cases of interest are the interruption of the currents associated with terminal faults, short line faults and out-of-phase switching and breaking capacitive and inductive load currents. The course discusses each case in detail and explains the origin and derivation of the attributes associated with the TRVs including pole factors, amplitude factors, two and four parameter representations and travelling waves where applicable. Attendees should bring a calculator to the class. Circuit breakers generally have no difficulty in interrupting shunt reactor currents and in fact may force the current to a premature zero due to the phenomenon of current chopping. Shunt reactor switching is however a unique and onerous duty for circuit breakers involving a complex interaction between the characteristics of the circuit breaker by type, gas or vacuum, and by way of its current chopping capability, arc voltage and arcing time and the circuit as represented by its effective capacitance and reactor grounding arrangement. The course explains the interaction in detail and the derivation of a generalized circuit breaker TRV equation which can be used for any shunt reactor application. Five reactor applications will be considered as class work and attendees must bring a calculator and a laptop loaded with Excel for this part of the course. Dr. David Peelo, consultant and former switching specialist at BC Hydro; active Cigre member; past convenor IEC MT32 (Inductive load switching), IEC PT42(Current interrupting capability of air-break disconnectors) and member IEC MT57 (Application guide for IEC 62271-100 and other circuit breaker related standards). 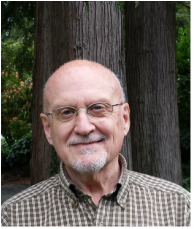 He is an IEC 1906 Award recipient, a Distinguished Member of Cigre and the author of a textbook on current interruption transients calculation.